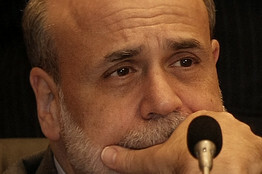 Andy Kessler: WSJ: What's Really Behind Bernanke's Easing? 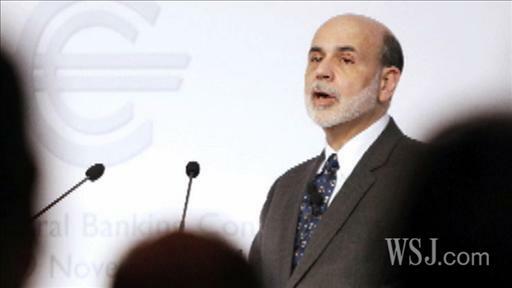 WSJ: What's Really Behind Bernanke's Easing? Federal Reserve Chairman Ben Bernanke's $600 billion quantitative easing program has been roundly criticized in this country and around the world. So why is he doing it? Does he know something the rest of us don't? Mr. Bernanke claimed earlier this month in a Washington Post op-ed that "higher stock prices will boost consumer wealth and help increase confidence, which can also spur spending." But, as Mr. Bernanke must know, the Japanese have been trying to influence their stock market for 20 years, with little effect on their economy. It is also unlikely, as some claim, that the Fed chairman is whipping up a stealth stimulus or orchestrating a currency devaluation. He knows these have been tried and are more likely to destroy jobs than create them. I have a different explanation for the Fed's latest easing program: Without another $600 billion floating through the economy, Mr. Bernanke must believe that real estate (residential and commercial) would quickly drop, endangering banks. The 2009 quantitative easing lowered mortgage rates and helped home prices rise for a while. But last month housing starts plunged almost 12%. And in September, according to Core-Logic, home prices dropped 2.8% from 2009. Commercial real estate values are driven by job-creation and vacancy rates, both of which are heading the wrong way. Because of unexpectedly bad construction loans, the staid Wilmington Trust was sold to M&T Bank earlier this month in a rare "takeunder"—what Wall Street calls a deal done below a company's stock value, in this case by 40%. In other words, real estate is at risk again. But Mr. Bernanke would create a panic if he stated publicly that, if not for his magic dollar dust, real estate would fall off a cliff. In a normal economic recovery, the stock market rises in anticipation of higher corporate profits. 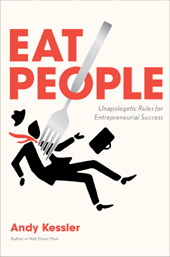 Companies then use their higher stock prices to raise capital and hire workers, who buy homes and remodel kitchens. Before growth can occur, however, we have to fix what caused a recession in the first place. Often that means drawing down inventory that built up in the last boom, or tightening credit to whip inflation, as then-Fed Chairman Paul Volcker did in 1981. In late 2010, though, we still have banks overstuffed with toxic real estate loans and derivatives. But what about the trillion in bank reserves sitting at the Fed and earning 0.25% interest? Why isn't it being lent out? Perhaps because it's needed to offset unrealized losses on these fouled loans. Like it or not, banks are still weak, and another panic may be on its way. Bank of America is the best example. As of Sept. 30, its balance sheet claimed a book value (assets minus liabilities) of $230 billion. But the stock market values the company at just $118 billion. Who's right? Usually the stock market is ahead of bad news and write-offs. Citibank is selling at 20% below its book value. The market wasn't gloomy enough on Wilmington Trust—hence the takeunder. Mr. Bernanke is clearly buying time with our dollars. If real estate drops, we're back to September 2008 in a hurry. On Wednesday, the Fed announced that all 19 banks that underwent stress tests in 2009 need to pass another one. This suggests central bankers are nervous about real-estate loans and derivatives on bank balance sheets. In 2009, even with TARP money injected directly into their balance sheets, banks faced a $75 billion capital shortfall. Mr. Bernanke orchestrated a stock market rally so they could sell equity for much needed capital. Columnist Mary Anastasia O'Grady explains the Fed chairman's attack on Beijing's currency policy. Also, Matthew Kaminski of the editorial board says it's time to rewrite Obama's arms deal with Russia. My sense is the stock market is less likely to cooperate this time. Since the QE2 announcement, the Dow is down 254 points and bond yields have backed up, exactly the opposite of what Mr. Bernanke was trying to achieve. If the latest boost doesn't work, we may see real estate seek its true lower value, causing a sell-off of bank stock that requires them to begin paying more for short-term debt. The Fed may have to act quickly. It can't reprise the 2009 bailouts, which failed when banks wouldn't sell their distressed mortgage-backed securities because they didn't have enough capital to stay solvent. No politician would agree to bailouts anyway. This time, the Fed should do what it didn't do in 2008-09: detoxify and recapitalize the big banks. The Dodd-Frank banking reform provides the authority for the Fed and the Federal Deposit Insurance Corp. (FDIC) to do this. Think of it as what the FDIC does on Fridays (taking over failed banks), but on a huge scale. First, guarantee deposits so lines don't form at branches, and provide short-term loan guarantees as a backstop to short-term lenders. Then move the toxic debt onto the balance sheets of the FDIC and the Fed, and refloat the banks with fresh capital to open on Monday morning. Also, fire management. And get the banks public again so that the market can properly value them and provide an early warning of bad loan portfolios. All that's missing is a mechanism to make sure foreclosures continue in a fair and measured way so real estate prices stay accurate. But the freshly capitalized banks, free of nonperforming loans, will help fund an economic recovery. The stock market will fly based on prospects for future corporate profits, rather than on unsustainable Fed goosing. As commercials for Fram oil filters used to say, "You can pay me now or pay me later." In our case today, "pay me later" is a perpetuation of weak banks, substandard growth, persistent unemployment and stymied productivity. Better to do takeunders of banks now than to hire an undertaker for the whole U.S. economy later. Bernanke was my professor for monetary economics at Stanford and I agree that he is no where near stupid enough to believe the explanation he stated publicly for quantitative easing, but I have a different theory of what he is actually up to. My guess is that the loanable funds market is just not deep enough to supply the current $100b increase in the national debt without creating a spike in interest rates, and at current very low rates, even a small increase would cause a huge proportional increase in national debt servicing (in addition to further weakening the housing market, as you point out). The result would be a vicious cycle that could quickly explode and bring the whole mess crashing to the ground. That is, I think Bernanke is intentionally monetizing debt as a way to avoid a relatively-immediate crash. But this is only a delaying action, pushing the debt crisis a little further down the road, where it will be compounded by growing inflation. If things are really this bad, we are doomed, but I don't see any other explanation. Bernanke's inflation-for-inflation's-sake explanation doesn't even begin to hold water. It has to be the other effects of monetization--on housing, investment and short term interest rates--that he is looking at. The actions that the fed are taking spell one thing: there is no recovery. They are seeing just the opposite in their numbers. More QE means postponing the death of the patient in hopes of some magical cure. I think that to receive the loans from banks you ought to have a great motivation. Nevertheless, one time I've received a collateral loan, just because I was willing to buy a building. Quantitative easing is just not going to work how can you solve this crisis by printing more money? Yes real estate is one of the area's that suffers from drawbacks. I think we still have a lot of misery to come. Euro-zone finance ministers plan to meet again this Sunday to address the Greek tragedy. But so far the only plan on the table is a doomed one by the French for the voluntary restructuring of sovereign Greek debt. Private buyers are increasingly skeptical of government guarantees and will demand real collateral. Credit default swap derivatives, which merely spread the risk, will no longer do. Some other sweetener will be needed. The solution? Bonds backed by real Greek assets. The loans "goodfinance-blog.com" seem to be important for people, which are willing to ground their own company. In fact, this is very comfortable to receive a commercial loan.